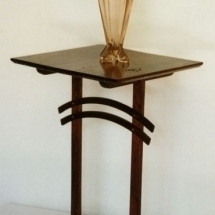 When decorating or upgrading many people search for exclusive, one-off furniture items for their home – furniture that is lovingly hand crafted using eco-friendly materials. 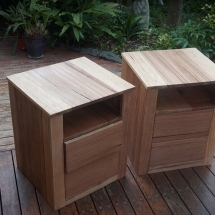 As a result of this search, our clients have discovered cabinets and tables handmade using sustainable and recycled Australian timber. 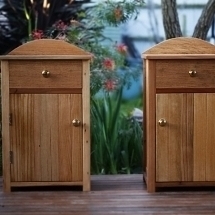 The reasons these items are so popular and the perfect choice for any home are listed below. 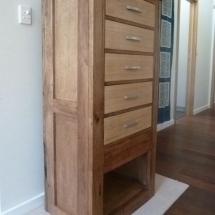 When you select from our range of handmade furniture, the main advantage is that each piece is custom built according to your specifications for both size and design. You can determine the dimensions, style and finish that fit your needs and you can select the types of hinges, handles and decorative details that you prefer on your cabinets and tables. 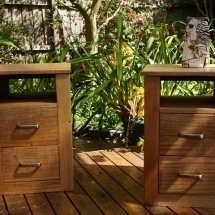 Our range of hand crafted cabinets and tables contains sustainable and recycled Australian timber and we use traditional joinery methods – this means no staples, screws or nails except when necessary to attach handles and hinges to the tables and cabinets. 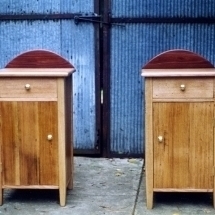 Our clients feel proud of selecting recycled and sustainable timber for their exclusive furniture items, as this does help to save old-growth forests. 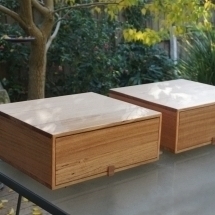 Sustainably harvested Australian hardwoods should be approved by the Forestry Stewardship Council (FSC) and include such species as Messmate, Tasmanian Oak or Alpine Ash. 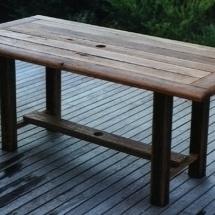 Recycled timber comes from construction timber, flooring, old furniture, crates, and industrial and commercial sources. 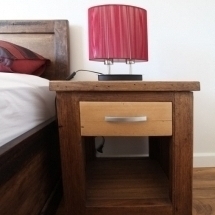 Another reason that our handmade furniture items are so popular is the fact that they come with a long-term guarantee. We are able to offer a 20 year guarantee because our furniture will last for at least that long without falling apart or deteriorating prematurely. 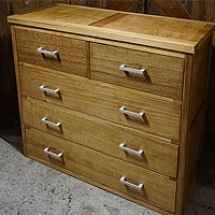 We offer a wide variety of choices – chests of drawers, bedside tables, sofa tables, dining tables, hall tables or are happy to make up your own unique design. 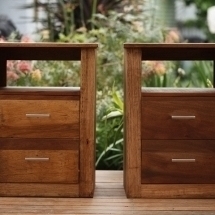 For further details about why you should choose handmade sustainable and recycled Australian timber furniture, consult with Wenborn Wood. 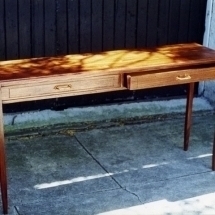 We create high-quality furniture that is attractive, functional and kind to the planet.